Pressed by GOP mayor and state’s largest paper, governor moves to rework law condemned by LGBT groups. Indiana Governor Mike Pence, who not long ago sounded like a 2016 Republican presidential prospect, might have thought that his decision to sign his state’s so-called “Religious Freedom Restoration Act” (RFRA) would have at least earned him the enthusiastic embrace of all Republicans and all conservative media. But it is not working out that way in Indiana, a state that (with the exceptions of Democrats Lyndon Johnson in 1964 and Barack Obama in 2008) has backed every Republican presidential candidate since 1940. A number of 2016 Republican presidential prospects—including former Florida governor Jeb Bush, Texas Senator Ted Cruz and Dr. Ben Carson (who referred to the Indiana law as “vital”)—backed Pence with notably more enthusiasm than the governor could muster. But the governor got a good deal of pushback from conservative Republicans and media at home—so much, in fact, that Pence now says he is looking for a way to adopt new legislation that will “clarify” that the law does not permit businesses to engage in discrimination against lesbian, gay, bisexual and transgender (LGBT) people. What’s playing out in Indiana, and nationally, is important because it illustrates the extent to which thinking about LGBT rights is shifting, even within a socially-conservative Republican Party. But the criticism that has most stung Pence, a former Republican congressman and favorite of conservatives, has come from Indiana Republicans and conservatives. 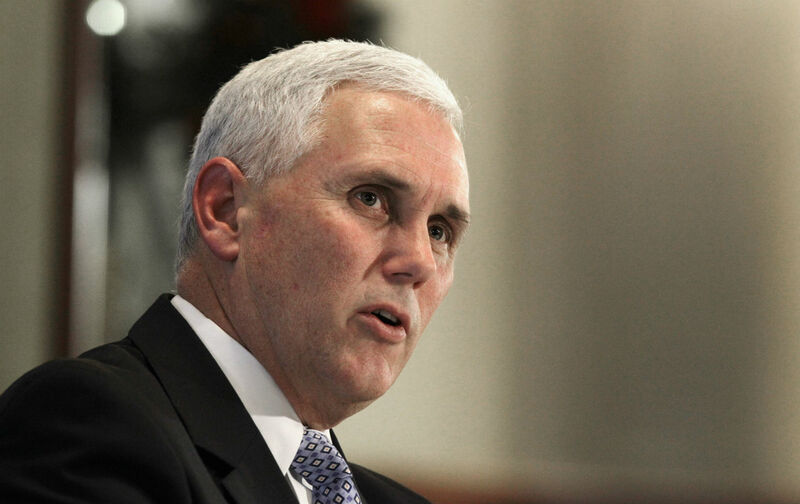 The Indianapolis Star, a newspaper that endorsed Pence for governor in 2012 and that for many years was owned by conservative publisher Eugene C. Pulliam (the grandfather of former vice president Dan Quayle), published a rare front-page editorial condemning the law. Republican Mayor Ballard was pushing the “fix-this-law” line—calling either for the repeal of the Pence’s law for for the addition of explicit protections in state law against discrimination based on sexual orientation and gender identity. Perhaps Pence does still speak, however ineptly, the sentiments of his party’s socially conservative base. But if there was a Indiana Republican who sounded like he understood where most Americans at with regard to protecting LGBT Americans from discrimination, it was not Pence. It was Ballard.